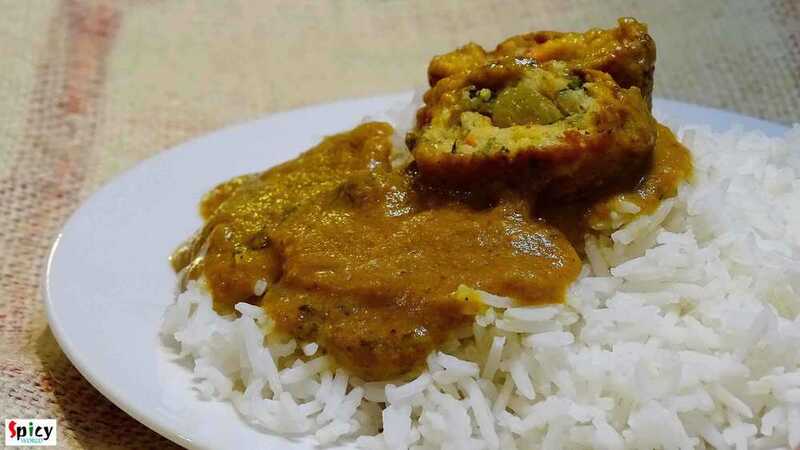 Last weekend I wanted to make something new veg maincourse, thats why I chose this 'paneer kofta curry' and it was just delicious. 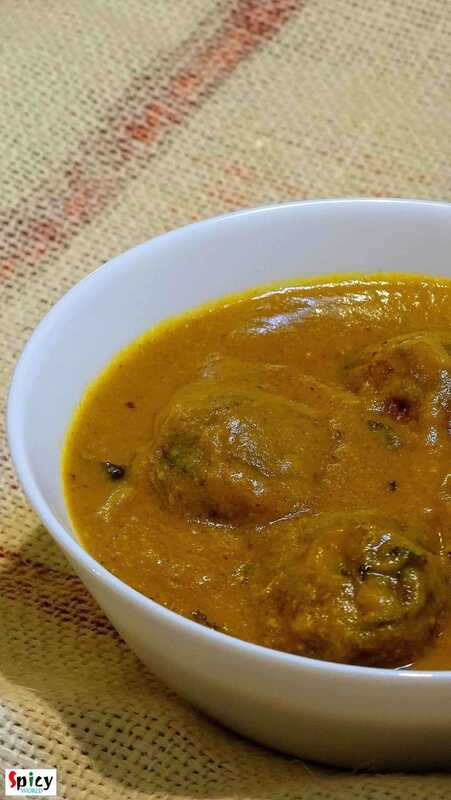 You can make kofta curry with raw banana, jack fruit, chicken, fish, mutton etc. They all tastes really good. 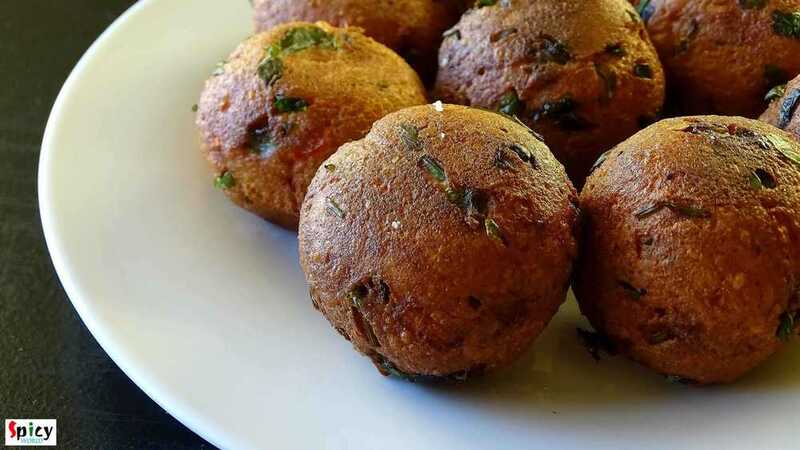 I made it with paneer kofta, you can see how good looking they are and by clicking the picture below you can see how it's prepared. I served this curry with plain rice but you can also serve with naan, kulcha, pulaao, jeera rice or even with paratha. Every combo will make your meal a special one. There are several ways you can make this curry, here is how I made it. 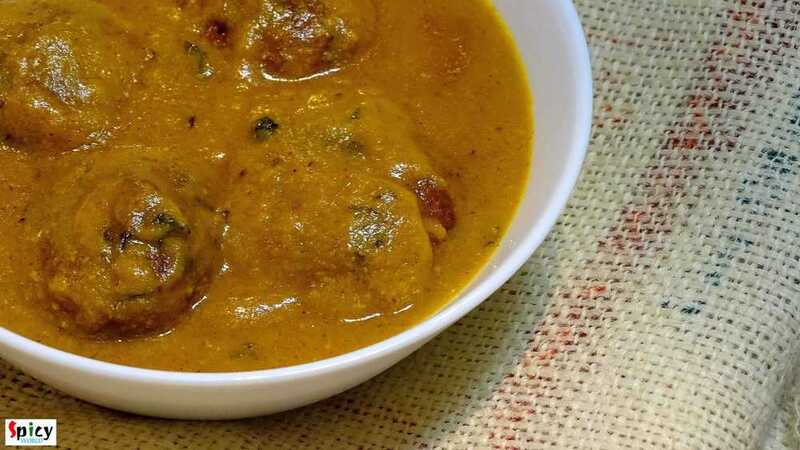 10 - 15 paneer koftas. 2 inches of ginger, roughly chopped. 2 cloves of garlic, roughly chopped. Whole spices(4 green cardamoms, 1 cinnamon stick, 6 black peppercorn, 4 cloves). Spice powder ( 1 Teaspoon turmeric powder, half Teaspoon red chilli powder, 1 Teaspoon garam masala powder). 2 Teaspoons kasuri methi / dry fenugreek leaves. 5 Tablespoons of white oil. Add chopped garlic and ginger. Saute them for 30 seconds. Add sliced onion. Fry them for 5 minutes. Then add cashews and green chilies. Fry them another 3 minutes. Then add chopped tomatoes, pinch of salt and sugar. Cook it till they become mushy. After put the mixture in a blending jar and make a smooth paste. Add the whole spices. Saute them fir a minute. Then bring the heat lower and add all the spice powder. Mix them for 45 seconds. After that add the smooth paste of onion and tomato. Mix it for 6 minutes in medium flame. Add salt and sugar as per your taste. Mix them until the oil separates. Then add a cup of warm water. Cook this for 8 minutes. Then add the cream and kasuri methi. Mix it well. Now add the paneer koftas in the curry. Mix and simmer for 2-3 minutes. If you are planning to eat this later, then don't add the koftas in the curry. Just add them in the curry before serving. Don't forget to warm up the curry a bit.